WASHINGTON, April 22 (Reuters) - Thousands of scientists and people from other walks of life turned out in Washington and New York on Saturday for Earth Day events that organizers have framed a "celebration" of science to counter a growing disregard for evidence-based knowledge. March for Science, which includes "teach-ins" on the National Mall and parades in midtown Manhattan and hundreds of other cities and towns, is billed as non-partisan, aimed at reaffirming "the vital role science plays in our democracy," according to the march's website. Even so, the marches were effectively protests against steep cuts that President Donald Trump has proposed for federal science and research budgets and his administration's skepticism about climate change and the need to slow global warming. "It's important to show this administration that we care about facts," said Chris Taylor, 24, who was part of an early crowd of about 2,000 who gathered on the Mall for teach-ins on topics like climate change, water quality and sustainable food. "It just seems like they're not really concerned about economic growth or creating new technologies, just catering to massive corporations," said Taylor, who is earning a PhD in robotics at George Mason University in Virginia. March for Science is the latest in a series of national demonstrations that have been staged since Trump's inauguration nearly 100 days ago. Previous marches and protests have focused on a range of partisan issues, from abortion rights to immigration policy. The White House did not respond to a request for comment on Saturday's marches. However, in the past, Trump has said climate change was a hoax that was stifling policies to foster economic growth. His administration is considering withdrawing from the Paris Agreement, a global accord aimed at reducing global emissions of carbon dioxide and other greenhouse gases. Last year the United States, under President Barack Obama, joined more than 190 other countries in signing the pact. Trump's proposed 2018 budget calls for deep spending cuts by government science agencies, including a 31 percent reduction for the Environmental Protection Agency. March organizers are also worried by what they see as growing skepticism from politicians and others on topics such as vaccinations, genetically modified organisms and evolution. The direct involvement by the scientific community in a national policy debate has stirred some criticism about whether scientists should get involved in politics. But organizers have defended the march as crucial because of the threat posed by discrediting scientific consensus and restricting research. "As scientists, as human beings, our mandate is clear - it's to stand up for what we know to be true," said Kellan Baker, a senior fellow at Johns Hopkins School of Public Health and one of the speakers on the National Mall. 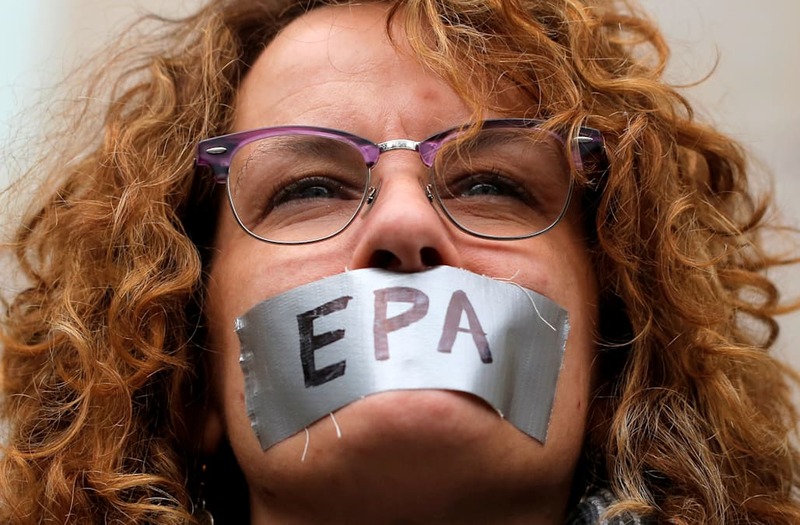 That theme was echoed by many of those who showed up in Washington for teach-ins, which organizers said were a centerpiece of the initial Earth Day held in 1970 to call attention to the environment. "Science isn't respected and it needs to be," said Sarah Binkow, 22, a civil engineer who traveled from Pontiac, Michigan, to attend the Washington rally.